At Burg Simpson, we take pride in our ability to help people. Our number one priority is to always protect the welfare and best interests of our clients. 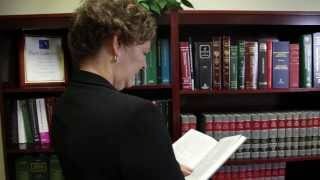 When selecting a trial attorney, it is important to select an attorney with the requisite experience and resources to handle every aspect of your case, and, when you hire Burg Simpson, that is exactly what you get. We are one of the nation’s most recognized firms, having received numerous awards for the quality of our legal work from satisfied clients, our peers within the legal industry, and our local community. 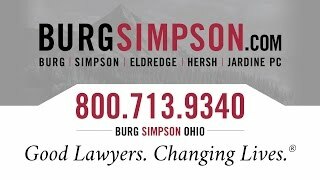 In the 2018 edition of The Legal 500, Burg Simpson is ranked as a top-tier law firm and national leader in dispute resolution for product liability, mass tort, and class action plaintiffs in the pharmaceutical and medical device litigation areas. This marks the sixth consecutive year that Burg Simpson has received this prestigious honor. Additionally, The Legal 500 names founding shareholder Michael S. Burg as one of America’s 50 Leading Trial Lawyers and a foremost dispute resolution attorney. In addition, Burg Simpson shareholders Seth A. Katz and Meghan C. Quinlivan are named as top dispute resolution attorneys for product liability, mass tort, and class action plaintiffs in the pharmaceutical and medical device litigation areas. According to the National Trial Lawyers, an organization comprising thousands of leading plaintiff trial attorneys, Burg Simpson is one of America’s Most Influential Law Firms. Burg Simpson has been named among the Best Law Firms in America® according to the 2019 U.S. News and World Report. Twenty-five Burg Simpson attorneys across three states have been named to the 2019 edition of Best Lawyers in America®. In addition, one attorney from the firm, Ronald M. Sandgrund, was named Best Lawyers “Lawyer of the Year” in Litigation-Construction. The Best Lawyers “Lawyer of the Year” honor is bestowed on a single lawyer in each practice area and designated metropolitan area making this accolade particularly significant. Honorees are selected based on impressive voting averages received during the peer-review assessments. Twenty- six Burg Simpson attorneys are named to the 2019 Super Lawyers list. Published by Thomson-Reuters, Super Lawyers is a rating service of outstanding lawyers from more than 70 practice areas who have attained a high-degree of peer recognition and professional achievement. It is worth noting no more than 5 percent of lawyers in Colorado are named to the annually published list. No more than 2.5 percent are named to the Rising Stars list. The attorneys and professional staff at Burg Simpson Eldredge Hersh & Jardine congratulate Michael S. Burg and David P. Hersh for receiving Law Week Colorado’s Barrister’s Best Awards for 2019! Michael Burg, the firm’s founder, was selected as Barrister’s Best by People’s Choice for Best Class Action/Mass Tort Lawyer, Plaintiffs. Congratulations to Mike and Dave!